Something I hope I can thank this awesome community with. 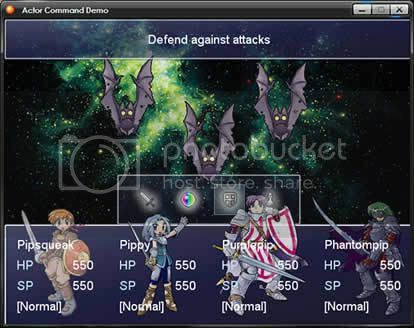 A purely aesthetic modification of the actor's command window (Attack, Skill, etc. window) during battle. See screenshots/demo for better description. You will have to customise Scene Battle yourself and link it to this script if you have more battle commands (e.g. special skill windows like 'summon' or 'status'). This was my second script, so at the moment it's kinda rigid and hard to customise (although now greatly improved thanks to Calintz's help ). If anyone likes it enough, i'll try my best to make it even better. Now features easy to use config options so no scripting familiarity is needed at all! Now includes an option for vertical icons! Four tip window/ icon window combinations to choose from. This is only the default script. Please download Calintz's demo if you wish to use his version of the script, and the 3.0 demo if you wish to use the latest version of the script (includes both Calintz's additions and the default script). # for the icon tips. Better for busy battle backs and tall actor battlers. icon = "C-defend" # ... etc. 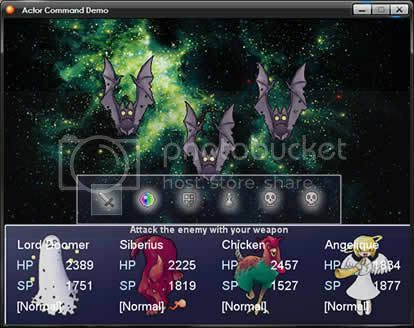 Download the demo and use the game's script layout as a guide. Demo requires Standard RTP thing to work. Copy and paste the script ("Main Script") above main. Finally, put your icons in the 'Graphics\Icons' folder and change the beginning parts of the main script to match their filenames. The icons should be 48x48. Download the demo from the above link. I'm pretty sure it WON'T work with any kind of CBS which doesn't involve the standard tell-your-actor-what-to-do-using-a-window function (e.g. an ABS). Currently does not work well with Blizzard's Chaos Rage Limit System, and probably not with RTAB either :'(, but I am still working on a new version! Please see this version of the script and Blizzard's EOS script if you wish to embark on this quest yourself using a vertical window: [REQUEST]I am looking to make these scripts compatible. Jackolas for pointing out a bug! Calintz (again) for suggesting I make it compatible with Blizzard's CRLS - it kinda worked! I have managed to develop some compatibility with Blizzard's Chaos Rage Limit System! Thanks to Calintz for giving me the motivation to make it work! :D Check second page of posts for demo DL. Works great with window skins that don't use a rectangle as their selection shape (e.g. a glowing circle would make the icon appear to glow as you passed over it). Also highly recommended - a battle command memory script. And finally - please let me know if you get any errors! As the night pulls on, I can't really check out the demo at the moment, unfortunately. But what I do see here is pretty impressive and awesome. Visual uses of the battle menu really makes a game more interesting and this perked my eyes open the moment I unspoilered that spoiler. I will consider using this, and hopefully there won't be any errors. If there are, be prepared to see if you can fix it. 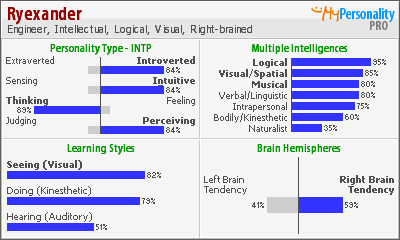 This seems to be pretty interesting I must say. I would check out the demo but it is like 5 in the morning and I can't get back to sleep. But probably tonight I will check this out. Thanks everybody! I really appreciate your encouraging comments and I hope I can be of help if there are any issues. I'm actually working on a few more aesthetic developments like animating it (although they're not going too well... ), but I'll be waiting for your feedback! Thanks for the power up, Fantasist! And @Starrodkirby86: I do like to side with the monsters more often that not... I'll probably have to make a better, shinier avvie sometime soon. Read Blizzard's scripting tutorial about aliasing methods. That scene_battle 3 mod can be aliased. I tried to use aliasing but I just got a vague hang of it last week. I'll have a go at it again. Wow, thanks! I've updated the script - now there's only one. Haha, and I've learned something more about aliasing. Very nice job. I love the way you did the interface -- very next-genish. Although, it'd be amazing if the script made those fancy shadows. But oh well, what use would we have of GIMP and Photoshop then, eh? Anyways, thanks again, I really appreciate it. Opacity isn't hard, though you'd have to use sprites instead, I believe. Thanks for the tips! I can see how that would work. I don't understand arrays yet - could you explain how I could set one up? I'd not use sprites there. You could just redraw the window contents every time a button is pressed. You know the bitmap.blt method, right? Check the RMXP help file, the last argument is the optional opacity. But beware, do NOT do that in any update method. Do it only when the player moves the cursor. You know the bitmap.blt method, right? Check the RMXP help file, the last argument is the optional opacity. But beware, do NOT do that in any update method. Do it only when the player moves the cursor. LOL using the .blt method every frame?! NOW THAT WILL LAG! probably worse that refreshing the content of 6 windows, some that with gradient bars and such, every frame. I did that once went from 40FPS to 6FPS. LOL! ya DON'T use ANY method that has even marginally heavy processing every frame unless you are deliberately trying to cause lag or know what you are doing. that includes anything that creates of modifies a bitmap. But beware, do NOT do that in any update method. Do it only when the player moves the cursor. Oops, I remember that now. I thought that there was something like that, but I couldn't remember. @ Calintz16438: I haven't checked that script out yet, but I'll promise to look into is asap.